24 is a slot which is easy to play. 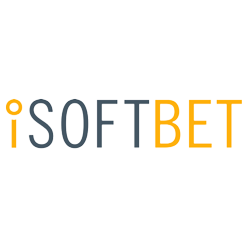 And actually, iSoftbet seems to have taken the easy way out. The slot has five reels, three rows, and the symbols range from the nine to the Ace. And this is actually too standard for a theme such as 24. However, it must also be said that this issue might be resolved by the free spins and bonus game. That is, both these features are very good. This slot has a wild symbol which can substitute for any other symbol except the scatter. Namely, the scatter is the symbol that leads to free spins. Would you also like to experience what it’s like to be Jack Bauer, or do you just love watching the series 24 comfortably on your couch? No matter how you like it, this slot by iSoftbet will accommodate it. Namely, this slot is jam-packed with effects straight out of the tv-series. Additionally, this slot has 243 ways to win which makes it easy to play and keep a clear overview. This slot even has free spins with features, which will aid you in winning. Furthermore, this video slot also has a wild symbol helping you. 24 is equipped with exciting free spins during which features will literally come flying at you. During free spins, you play on the same reels but with a different background. Additionally, there will also be quite some extra wild symbols present as a result of the weaponry used. When the machine gun starts firing, an entire reel becomes wild. When a bomb drops on your reels, four symbols turn into wild symbols. When someone starts firing a gun, random wild symbols pop up on your grid. Naturally, all these features entail handsome wins. In order to reach free spins, you only need one symbol. Namely, you only need the free spins symbol to land on the third wheel. The combination of having 243 ways to win and the many wild symbols, results in many high wins during free spins. If you feel like standing in Jack Bauer’s shoes for a while, this is your chance. Namely, during the bonus game, you get to defuse a bomb. When undertaking this risky business, with every wire you cut, time starts running. There are some great prizes out there, and some wires even add some time. When the timer on the bomb hits zero, the bonus game ends and your wins will be brought to the regular spins. Please note that during this bonus game, you have to cut the wires below the bomb. 24 does not have pay lines, as it has 243 ways to win. This system of ways to win proves rather lucrative during free spins. At the bottom of the screen, you will find the auto-spin function. Unfortunately, you can only turn it on and off; you can’t configure a pre-set number of spins. When playing this game, make sure to turn on the sound, as the music and sound effects really enhance the experience.